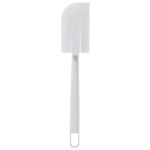 The Carlisle 4414102 Sparta® spatula’s white polyethylene construction can endure heavy use and has a tapered profile that aids in spreading product. 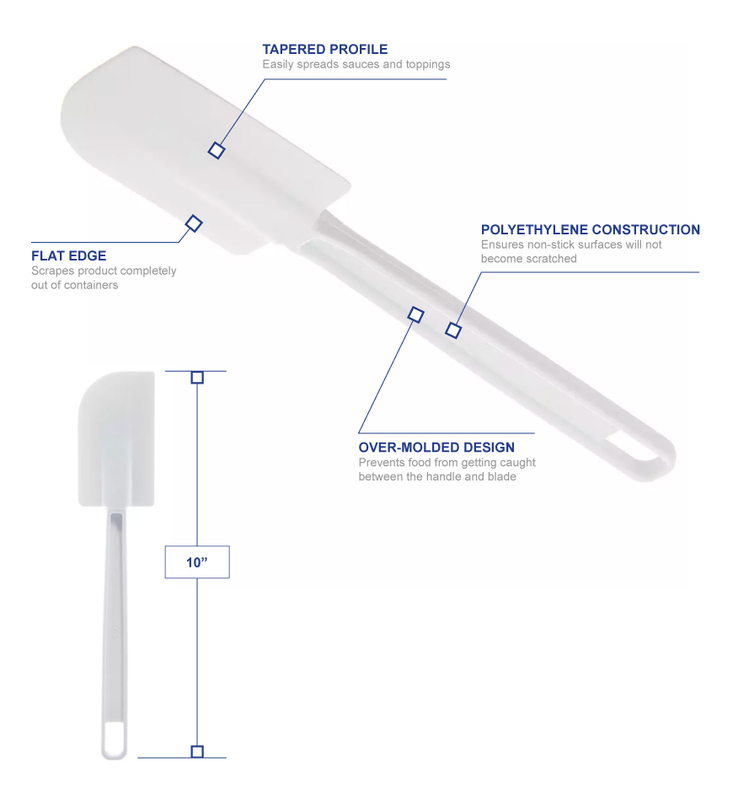 With its thin, flat edge, the spatula can scrape product out of containers and minimize waste. Its over-molded design eliminates food traps between the blade and handle. 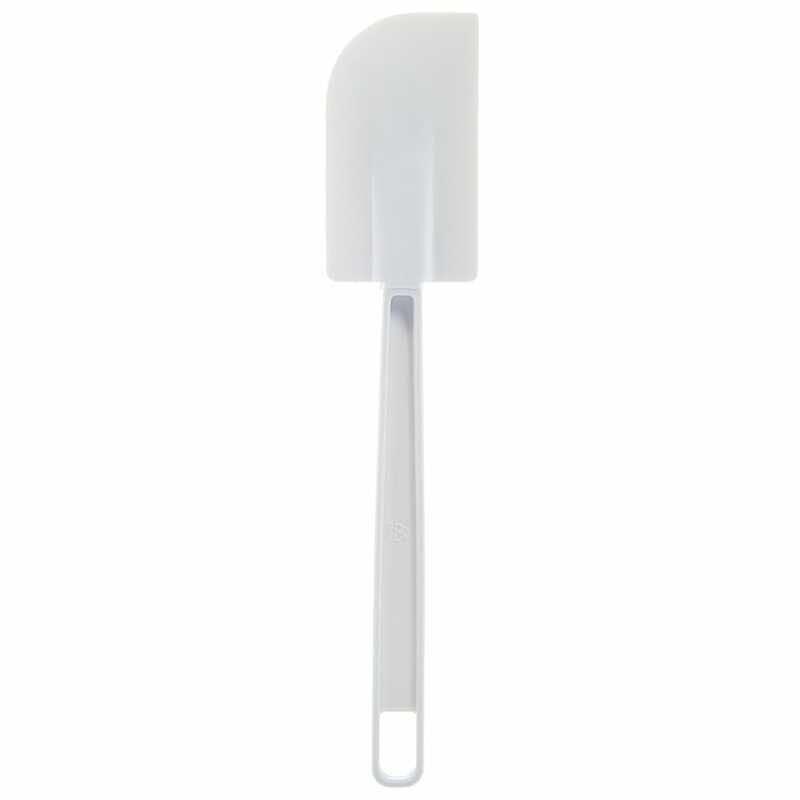 This spatula can be stored by the hanging loop on the end of its handle.